Is there any print more summery than gingham? 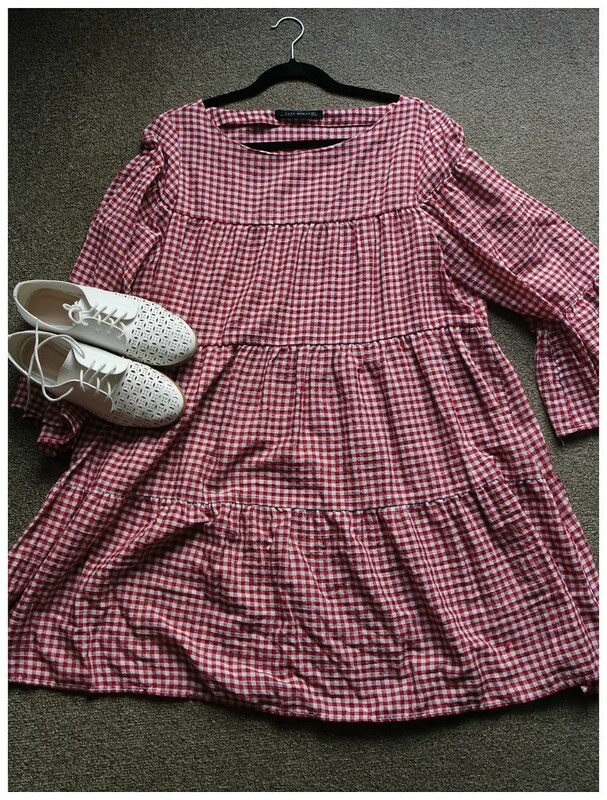 Gingham reminds me of picknick blankets, dresses I wore when I was younger and just overall fun time. That is probably why I love wearing this print especially in the summer time. 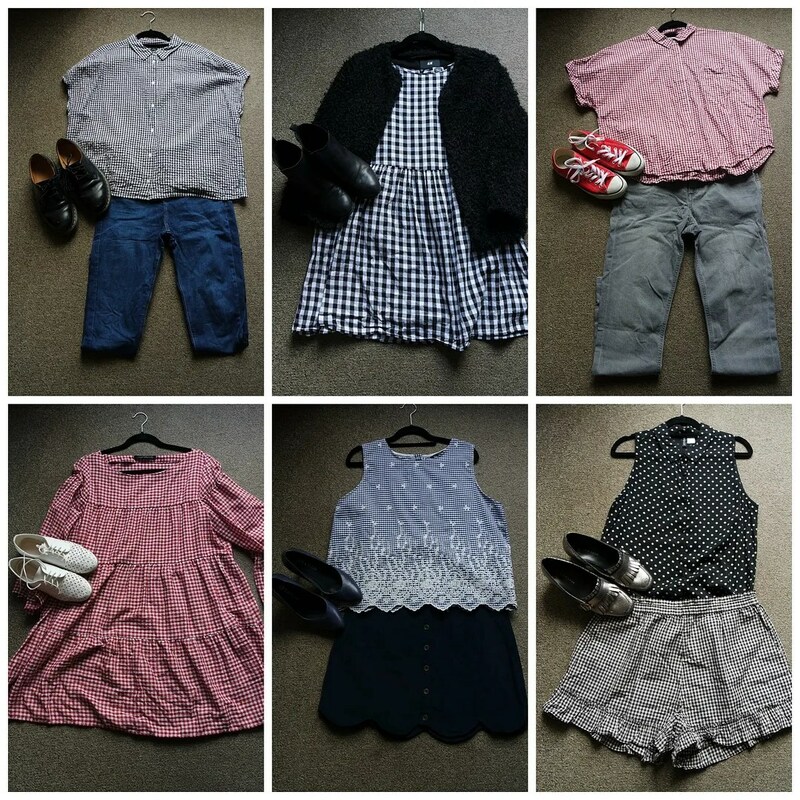 So for today’s fashion post, I figured we could have a peek at how I like to wear some of my favorite gingham pieces. My favorite way of wearing gingham is definitely in a dress. This baby doll style smock dress is by a company called White Pepper, which is available through Asos. I love how this has a black and white print: it makes it super versatile. With tights and a thick cardigan like here, it is perfect for the fall time. With a colorful ballet flat and some brighter colored accessories, this can easily be turned into a great summer outfit too. However, my favorite color to wear when it comes to gingham print is red. I love red as a color in general, but I feel it just screams summer picknick if it is in a gingham print. This boxy shirt is a great way of showing however, that a red gingham doesn’t have to look like a cheesy picknick blanket, but can make a fun fashion item too. 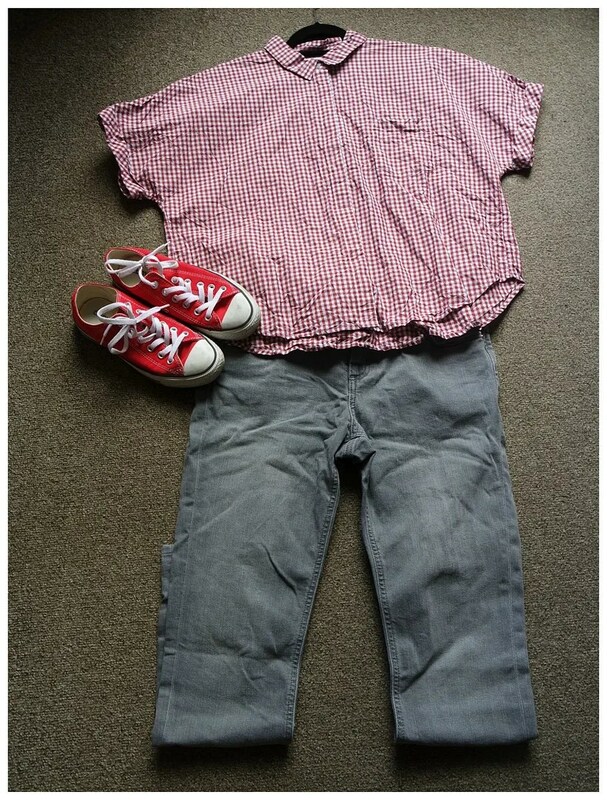 Paired with a couple of basic items that make the red gingham shirt pop, this is a simple, yet so easy to wear outfit. Gingham is one of the best print to use for a clashing prints outfit. Paired with this black polka dot shirt, it works well. Both items are monochrome, but one item has a black base color, the other looks more white. That is why this outfit works. The shirt is quite simple, because the shorts have a bit of texture with the frill at the bottom. To add a fun element to this outfit, I thought it would be great to pair this outfit with my silver loafers. It adds a bit more interest and keeps the outfit from being plain while still adding a pop of something. Gingham can also come in a stunning blue shade. 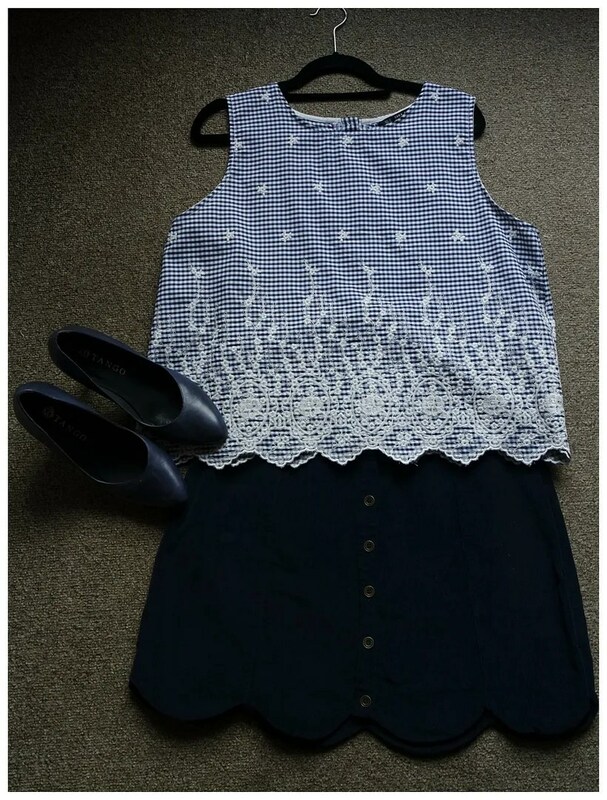 For this item, I thought I’d play up the blue element and pair this summery top with all navy items. The shirt is a fun find that I stumbled across quite randomly one day. It is a bright item that just adds a bit of color to any outfit. That is why I paired it with darker blues: this makes the blue of the top stand out more and not disappear into the background. The scalloped edge of the top is repeated in the skirt, which also adds to the playfulness of this outfit. 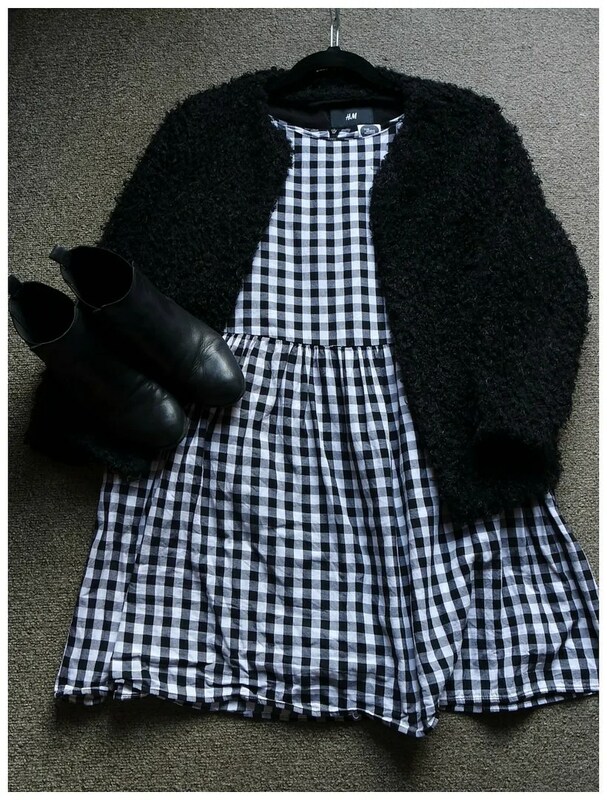 A classic, but such a good item to have in your wardrobe is a red gingham dress. This is picknick blanket level at its finest and not necessarily the kind of item I wear in more formal settings. However, it makes for a great casual outfit on a hot summer day. This tiered dress is wide and bulky and quite the manrepeller item in my wardrobe. However I love it as it is just one of those pieces you can throw on and not fuss about your outfit in any way. And sometimes, that is just what I like. My last outfit revolves around another Monki piece. That seems to be a brand that I love for buying gingham pieces. And they usually have great selection. This shirt has a bit of a surprise in the back as it has an open back. 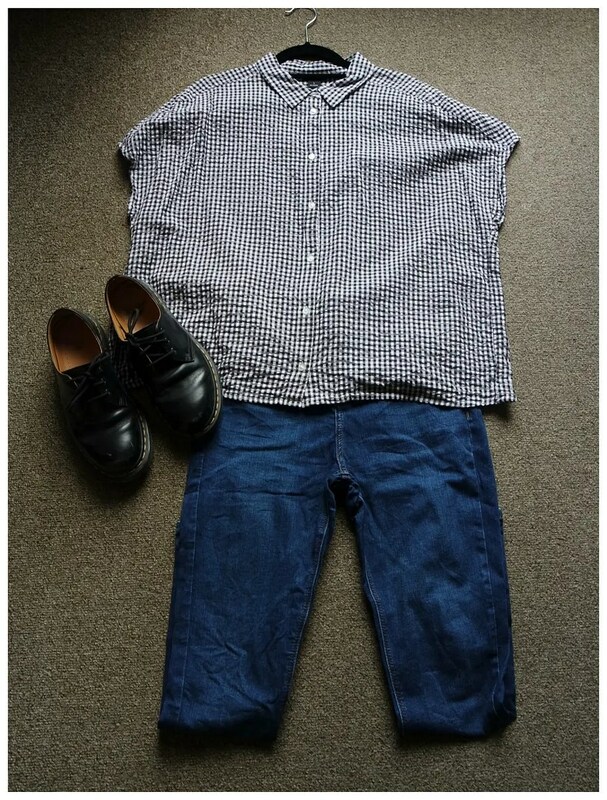 Since that is quite a main feature of the shirt, I like to keep the rest of the outfit quite simple. Because that makes the impact much greater. From the front, this looks like any old outfit. From the back, you get that great detail. Sometimes, the devil is in the detail. I don’t wear mine much either, but I love it too much to pass it up! Really enjoy how you’ve styled the frilly short & embroidered top. I don’t think I own anything gingham 😦 I really should look into that. It is one of my fave prints. Def worth the investment.